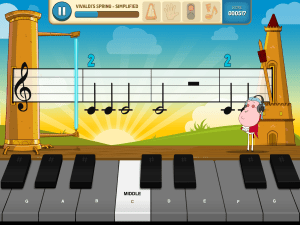 You don’t need a piano to bring music into your classroom thanks to this impressive app! Piano Mania by JoyTunes helps children read sheet music and understand the connection between notes on a page and piano keys. This free app is worth checking out if you have musical students who don’t have access to a piano but want to try playing this virtual keyboard. Aren’t teaching with music? Here are some Common core aligned lesson plans that might work with your curriculum!